No one ever doubts where Glenn Greenwald stands. Greenwald, a constitutional and civil rights lawyer, emerged as a prominent blogger during the Bush administration, methodically and relentlessly critiquing America’s national security regime and foreign policy. He became a hero to liberals during the dark days of W., assailing with righteous indignation torture, warrantless wiretapping, and the conduct of the wars in Iraq and Afghanistan. Two days after the massacre at Charlie Hebdo by a pair of French-Algerian brothers, Greenwald posted an essay, “In Solidarity With a Free Press: Some More Blasphemous Cartoons.” It may be the worst piece he’s ever written. Greenwald is in part responding to pieces by Jonathan Chait and Ross Douthat, who argued that the Charlie Hebdo massacre means that we have an affirmative duty to republish cartoons that many Muslims find offensive. Greenwald writes, “this week’s defense of free speech rights was so spirited that it gave rise to a brand new principle: to defend free speech, one not only defends the right to disseminate the speech, but embraces the content of the speech itself. Numerous writers thus demanded: to show ‘solidarity’ with the murdered cartoonists, one should not merely condemn the attacks and defend the right of the cartoonists to publish, but should publish and even celebrate those cartoons.” He argues that writers on left and right feel free to call for the reprinting of offensive cartoons that target Islam only because Muslims are a vulnerable and often despised minority. 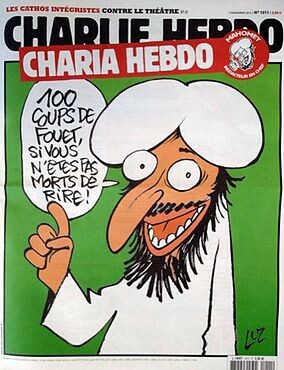 Cartoonists are murdered in Paris by Islamic radicals. Two days later, Glenn Greenwald publishes anti-Semitic cartoons. What was he trying to say? One interpretation of the piece is that Greenwald wants to show that if American political commentators would not dare print anti-Semitic cartoons, they should not print anti-Muslim cartoons either. But if this is his point, he has a strange way of making it; you don’t argue that you shouldn’t print some offensive cartoons by…printing other offensive cartoons. Perhaps Greenwald is simply making the hypocrisy charge — “offensive cartoons for me, but not for thee.” But this doesn’t make sense, either. If you don’t like your enemies’ behavior in reprinting offensive cartoons, don’t do unto them as they do unto you. While his argument is incoherent, I believe Greenwald’s basic point is this: If an American cartoonist had drawn racist cartoons and been murdered by a black radical, or if a comedian known for anti-Semitic jokes had been attacked by Jewish terrorists, liberal and conservative commentators would not be penning paeans to free speech, let alone arguing that the defense of freedom requires republishing material that most agree is offensive. So what would happen if an American artist were killed by someone angry about his or her offensive speech? 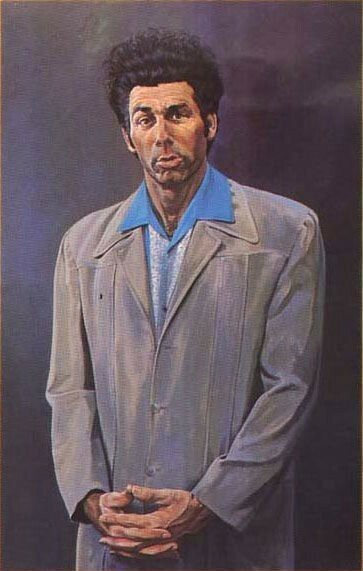 A thought experiment: In 2006, Michael Richards confronted a group of black hecklers by launching into a tirade of racial slurs. Let’s consider what would have happened had Richards later been murdered by a deranged African American. It’s possible, but not likely, that the “n-word” would suddenly start filling America’s newspapers and airways. It’s certainly hard to imagine free-speech advocates writing racial slurs on signs and marching through the streets. Because of America’s long history of racism, this particular word carries a taboo stronger than anything else in American society. If a white politician was caught saying it, he would immediately be forced to resign; a Hollywood star who said it would become box office poison. The “n-word” thus occupies a place in American life roughly analogous to the way both Islamists and some American commentators want to treat offensive cartoons of the Prophet Muhammad: totally taboo and thus forbidden by social sanction. So Greenwald may be right that there are certain American taboos that the commentators who now call for Charlie Hebdo cartoons to be reprinted would not embrace. But so what? Here’s a scenario that’s closer to what actually happened in Paris: Imagine that a group of radical left-wing domestic terrorists storms the Fox News studios and kills a dozen staffers, screaming that President Obama had been avenged. 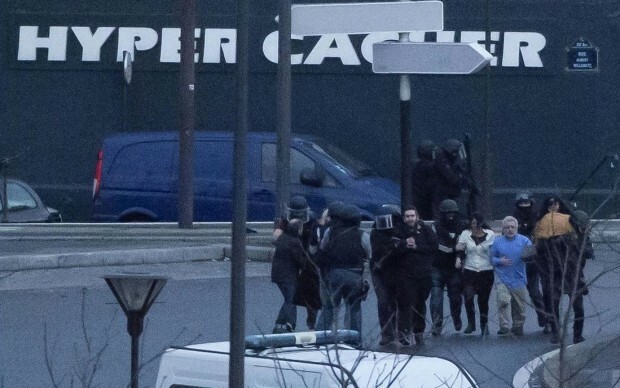 Two days later, an accomplice takes hostages at a Christian bookstore, killing four. The vast majority of Americans would be united in shock and horror, but it’s hard to say whether the phrase “I Am Bill O’Reilly” would become a rallying cry. However, it’s safe to assume that prominent commentators from across the political spectrum would unite to guarantee that Fox News stayed on the air, its political content unchanged. As Jonathan Chait notes in a critique of Greenwald’s piece, “the content of Charlie Hebdo’s work is not the issue. The issue is the right of publication. Given the fact that violent extremists threaten to kill any journalist who violates their interpretation of Islam, establishing the freedom (I argue) requires committing the blasphemy…Vulgar expression that would otherwise be unworthy of defense becomes worthy if it is made in defiance of violent threats.” (Chait also compares Greenwald’s argument to conservatives who complained about “black-on-black crime” in the wake of Ferguson and the Eric Garner case.) So Greenwald’s provocative republishing of anti-Semitic cartoons is, at best, a non-sequitur; in the history of political cartooning, no one has ever been murdered for nasty drawings about Jews. As an American Jew, I have heard many jokes about our tribe, some explicitly anti-Semitic and usually not very funny (“How many Jews can you fit into a Volkswagen? Two in the front, two in the back, and six million in the ashtray”), but many more of the sort we tell about ourselves. (My personal favorite is the one about the Jewish grandmother at the beach.) One darker kind of Jewish joke, implying that “the Jews” malevolently control the media/finance/world history, is rare in America but can be found in editorial cartoons regularly published in Middle Eastern newspapers. Google the phrase “do the Jews control,” and the search engine’s auto-complete algorithm mysteriously goes blank, but you will still get twelve million hits. So if he didn’t pay for them, where did Greenwald get the anti-Semitic cartoons he reprinted? The Intercept, in the grand tradition of new media journalists everywhere, swiped them from somewhere else. 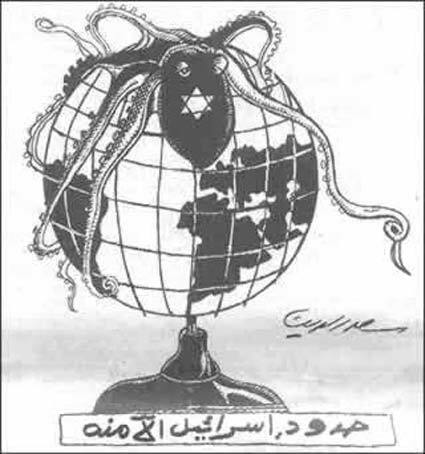 Googling “anti-Semitic cartoon” reveals image upon image, stretching on ad infinitum: Jews murdering children, Jews controlling American politicians, the Jewish octopus stretching over the globe. 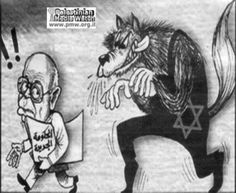 Jews as wolves, Jews as demons, Jews as pigs, and especially Jews as vampires feasting on Palestinian blood. 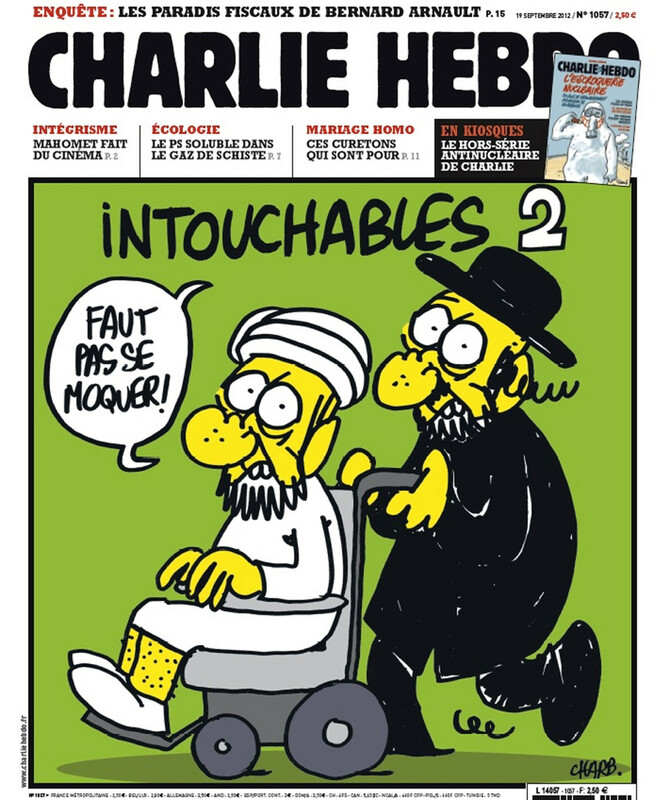 (There are even a few Charlie Hebdo covers thrown in for good measure.) Go ahead, see for yourself. 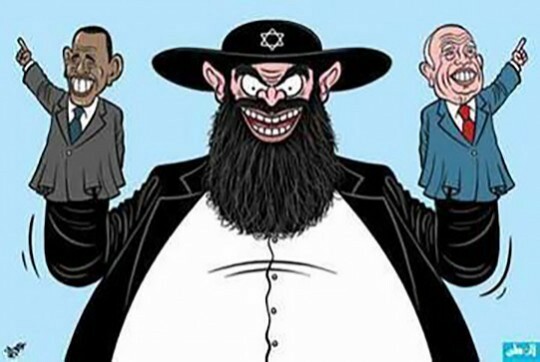 The Intercept could publish someone else’s anti-Semitic cartoon once a day, every day, for a very long time. There is of course no way Greenwald could have known that a few hours after posting his essay, Amedy Coulibaly, an associate of the Kouachi brothers, would take a kosher market hostage and kill four Jewish Parisians. It is a strange irony that a violent Islamic radical and an American civil libertarian would both make a mental connection between the attack on Charlie Hebdo and the Jews. If Greenwald actually did want to prove a point about taboos and free speech, he picked the wrong target. Jews make fun of themselves all the time — my first job after college was writing for “Jewtopia: The Chosen Book for the Chosen People,” which was filled with jokes written for Jews by Jews about Jews (available used on Amazon for just one penny!). Both sides in the Israel/Palestine conflict like to portray themselves as The Real Victims, but Israeli policy towards the Palestinians is regularly criticized in the American media, and only a handful of people have lost their jobs or been denied tenure because they said something critical about Israel. (In fact, the academy is the part of American society most vociferous in its criticism of Israel, and the pro-Palestinian “boycotts, divestment, and sanctions” movement is strongest on college campuses.) Ethnic jokes (“Did you hear the one about the Polish brain surgeon…”) and jokes about Jews, Catholics, and Christians (“A rabbi, a priest, and a minister walk into a bar…”) are viewed as being, at worst, in bad taste. “Book of Mormon” won nine Tony Awards and tours across the country. And, as Ross Douthat notes, images of Jesus and Mary routinely appear in American pop culture, and not just in explicitly provocative work like “Piss Christ”; “The Da Vinci Code” is offensive to traditional Christian belief as well. No, America’s only real remaining taboos involve stereotypically racist depictions of African Americans — and for good reason, because blacks have been treated worse than any other group in American history and racism is still a live issue in this country in a way that anti-Semitism (thankfully) is not. Local GOP politicians who forward emails about Obama liking watermelon are forced to resign. There is one completely forbidden word in America, a word so incendiary that we invented a curious euphemism to refer to it; there’s no “s-word” for slurs against Latinos, “f-word” for slurs against gay men, etc. 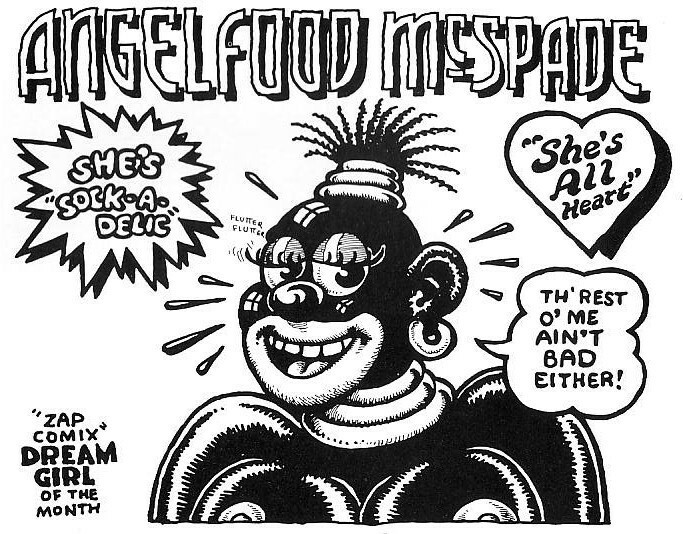 If The Intercept wanted to launch a bold strike in defense of freedom of expression in the world of cartooning, they could have reprinted some of R. Crumb’s shocking and stereotypically racist satirical drawings, like this, this, or this. That Greenwald “went after” Jews and not blacks tells us something about the courage of his convictions. So how did Greenwald go so wrong? The answer, I believe, is that he is a fundamentalist. The essence of fundamentalism is seeing the world in a single way, a sole prism through which to filter and interpret all of reality. There’s nothing inherently religious about the fundamentalist mindset. The fundamentalist’s lens could be the Bible or the Koran, but it could also be the belief that capitalism is a fair system of economic reward and thus 47% of Americans are moochers, or that the United States is a force for good in the world, so the invasion of Iraq will go just great. Thus the fundamentalist’s real enemy isn’t the secularist or the rationalist — it’s the satirist. The fundamentalist has a single perspective; the satirist understands all perspectives. (It’s not a coincidence that the target of the Sony hackers was the satirical comedy The Interview.) Reacting to the Charlie Hebdo attack in The Comics Journal, Tim Hodler writes, “Satire is an unusual art form, in that it is designed to be misunderstood. If you respond to it with horror or disgust, that was likely the artist’s goal. The satirist attempts to mimic the view of his or her enemy, often using the same kind of language and imagery as that opponent would, but doing so ironically, and taking it so far into the absurd that the entire moral basis for the enemy’s position collapses.” Satire is threatening because it demonstrates that the satirist understands the object of satire’s perspective — and then uses his targets’ own words and style to humiliate them. 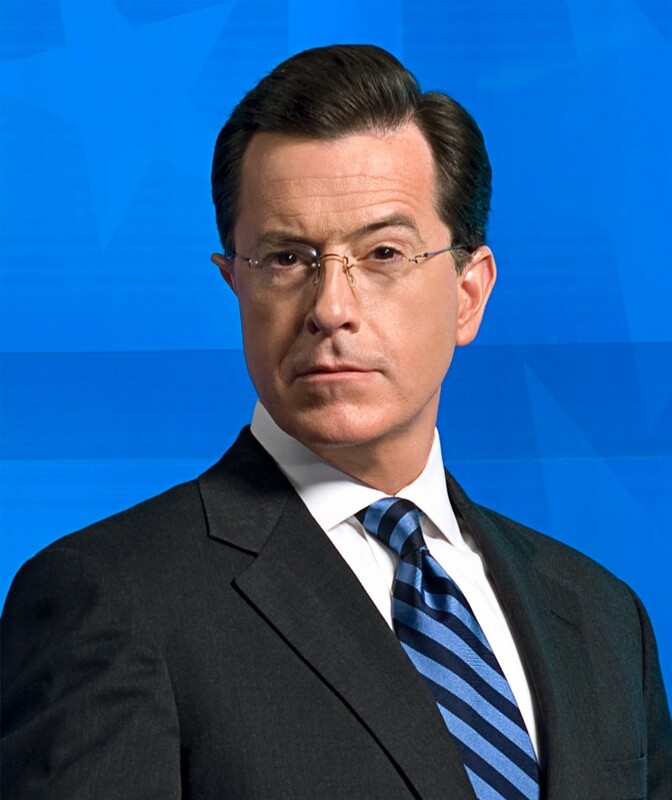 The pinnacle of contemporary American satire is The Colbert Report. Stephen Colbert understood the conservative worldview so well that he could conduct interviews in character for nine years, improvising jokes the whole time. What Glenn Greenwald displays is a kind of civil libertarian fundamentalism. For him, there is no more truth than one. There is right and wrong in this world, and he knows the difference. Greenwald excoriated Bush for warrantless wiretapping and he excoriates Obama for NSA surveillance. The NSA leak proves that Edward Snowden is the hero and the American government is the villain. The fact that Snowden was forced to flee to authoritarian Russia, where almost all media is state controlled and dissidents are jailed; which last year annexed Crimea and sent militiamen into eastern Ukraine, leading to the death of 298 people on Malaysia Airlines Flight 17; and where Snowden has stayed out of prison only because Vladimir Putin wants to stick his finger in America’s eye — none of this harms the moral legitimacy of Snowden’s actions. It’s just what is required when a brave truth teller confronts the malicious power of the American imperium. No one ever doubts where Glenn Greenwald stands. You don’t read him for counterintuitive takes or nuanced arguments, you read him for moralized attacks on violators of civil liberties. His temperament, the fundamentalist temperament, is ill-suited to understanding satire. When writing about Charlie Hebdo, he was likely to get it wrong. By using the massacre to make an unrelated argument about Israel, and imprudently tossing anti-Semitism into the mix, Greenwald turned an editorial mistake into an intellectual disaster. The Times posted a short documentary of the fateful 2006 Charlie Hebdo editorial meeting where the magazine debated how to respond to the Danish cartoon controversy. The cover they ran was of the Prophet Muhammad, his face in his hands, sobbing, “It’s hard to be loved by idiots.” This video is moving, even poignant. It is, I believe, a unique historical artifact — have we ever before seen artists creating the work for which they would later be killed? Nine years later, in that same room, cartoonists were called out by name and shot to death by Islamic radicals; the Kouachi brothers murdered twelve people in all, and their accomplice Coulibaly killed an additional five. These monstrous acts require us to think hard about satire, or at least harder than Glenn Greenwald did, for this reason: it has become important enough to die for.